The mining induction program to get you on a Queensland mine site. This mining induction program, provided in alignment with the Resources Training Council meets the Standard 11 requirements for new and experienced mine workers. Gain valuable knowledge on the mining industry with this induction and be ready to start work on site with the program that introduces the principles behind understanding risk and working safely in the mine environment. Note: An additional competency is required for the Standard 11 Mine Safety Induction (Underground). On successful completion of the face to face learning component, particpants will be required to complete a workplace logbook verifying the key learning outcomes from the course have been applied effectively. On submission of the evidence within 6 months (signed off by a workplace Supervisor) the Statement of Attainment will be issued for the above Units of Competency. This Resources Training Council licensed program is designed to provide new and experienced mine workers and contractors the underlying principles on how to work safely in the mining environment. The focus of the program is to influence behaviour in safety which is done in an interactive ‘hands-on’ manner with group challenges, discussions and activities. Participants will gain an understanding of the principles of safe work policies and procedures, risk control measures, how to respond to incidents and emergencies and communication in the workplace. All under the context of the mining environment. This is a highly interactive program where participants will be required to undertake classroom activities like observations and written and group assessments. Note: It is recommended that you check you specific site induction requirements to confirm all the activities needed to access site. Does this mining induction course cover all of Australia?  This Standard 11 mining induction course is deisgned to meet the requirements under the Queensland Coal Mining Safety and Health Act. Each state has their own induction requirements. Do I have to submit a site verification booklet once I have completed? Under the Resources Training Council approved course and the training package rules, completion of the program needs to be done on-site and a site verification needs to be completed on a mine site. How long does this induction last? The initial program is valid for 5 years but and you have an initial 6 months to submit your Site Verification Handbook following the completion of the initial training. 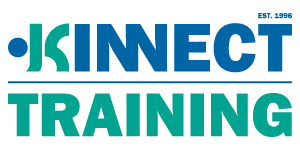 KINNECT Training runs the Standard 11 Mining Induction program in Brisbane, Gold Coast and Mackay. Can I pay after the course? Do you help with getting jobs in mining? When do I get my site access card? Successful completion of the initial 2 day program results in teh issue of the Statement of Attendance and the initial site access card endorsed by Resources Training Council. You then have an initial 6 months to submit the final site verification to issued your Nationally Recognised Statement of Attainment. Is this Standard 11 mining induction program accepted on all sites? This the accepted program for Queensland Mine Sites. Some mine sites will have other safety induction requirements and you should always check these requirements before booking. BMA is an example of this. Do you have payment plans for courses? Unfortuantely we do not have payment plans. Payment is required prior to the course unless paid on company account.